DTI Development Inc. (DTI) was founded in 2007 by Dennis Troy, a 20 plus year veteran in both the private and public sectors of the economic development industry. Mr. Troy served as Director and Deputy Director of Economic Development for Allegheny County where he managed a number of high profile projects, including the mixed use 300-acre site known as the Waterfront and the redevelopment of a 10-acre mixed use site known as Brentwood Town Square. Mr. Troy also served as the lead representative for Allegheny County during negotiations involving new venues for the Pittsburgh Pirates and Steelers. Mr. Troy's success continues in the private sector as evidenced by the vast scope of projects DTI has helped manage and develop. Some of his most notable work includes his service as the owner's representative for Pitt Ohio Express in the construction of one of the nation's first LEED Certified Trucking and Maintenance Facility projects. Additionally, Mr. Troy represented the May 2009 Cork Factory Lofts Project since its inception. It was later named the Best Redevelopment Project in the U.S. by the Urban Land Institute. Lot 24 is a companion development to the highly successful Cork Factory Lofts. A 94 residential unit development totaling 130,000 sq. 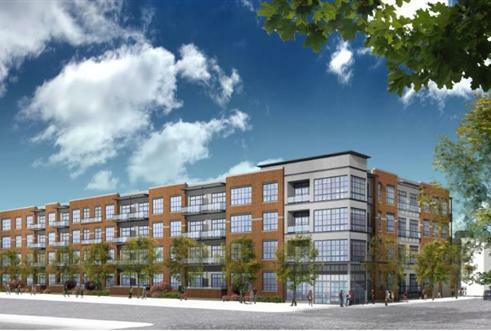 ft., this project is another example of excellent real estate development by McCaffery Interests based in Chicago. DTI was successful in securing $2.15 million in RACP Grant Funds and tax abatement assistance. © 2019 DTI Development Inc.